“We should take immediate and solid steps to decide this issue soon before the time passes away,” Miandad was quoted as saying. Pakistan became a no-go area for cricket’s leading nations after an armed attack on the Sri Lanka team bus in Lahore in March last year killed eight people, and injured seven Sri Lankan players and their assistant coach. Pakistan was due to host matches in next year’s World Cup. But the attack on the Sri Lanka bus saw the tournament restricted to the three remaining Asian Test nations of India, Bangladesh and Sri Lanka. Even before the Lahore incident, countries such as Australia had refused to tour Pakistan, where thousands have died in a decade of conflict. The security situation led Pakistan to play its “home” series against Australia in England this year. In the last two years, the nation’s “home” games have also been staged in the United Arab Emirates and New Zealand. According to Xinhua, Pakistan will support China in its bid to host the 2012 Asia Cup in the southern city of Guangzhou, where the Asian Games recently concluded successfully with their first-ever cricket tournament. Pakistani authorities say China’s hosting of its first major international cricket event would pave the way for making it a neutral venue. Sana Mir, captain of the Pakistan women’s cricket team that won a gold medal at the Asian Games in Guangzhou, had other ideas. “I belong to Abbotabad where girls are not encouraged to take up sports leave alone cricket but my family was supportive and made it possible for me to play cricket and study as well,” Mir said after a triumphant return home on Sunday. The women’s team, wearing their green team blazers, were garlanded and showered with rose petals in a rousing welcome at Karachi airport after winning the gold medal in a one-sided final against Bangladesh on Saturday. “This welcome is like icing on the cake after our victory,” Mir said. Pakistani media greeted the gold medal as a victory for women in the country. “Looking for positive faces to show the world, Pakistan need go no further than its sportswomen,” the Dawn English daily newspaper said in an editorial. “Despite the many restrictions they face, Pakistani women have done well in the field of sports from time to time.” “Unfortunately too little has been done to encourage these brave young women,” the News daily paper said. In a country where cricket remains a passion despite the spot-fixing allegations surrounding the men’s team, the Pakistan Cricket Board (PCB) has been giving steady exposure to the women’s team. 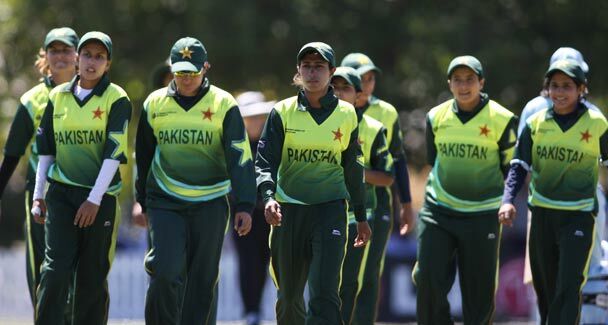 “The fact that we have played regularly since last year in International Cricket Council (ICC) tournaments and against better opposition has helped these girls gain confidence,” said Bushra Aitzaz who heads the women’s wing in the PCB. Following coach Waqar Younis’ call for resumption of bilateral cricket series between India and Pakistan, skipper Shahid Afridi also wants more encounters with the arch rivals. Afridi said India and Pakistan must play against each other more often, which would help in toning down the heightened tension between the two neighbouring nations. “I have always enjoyed playing against India and I have been saying we should play more often against each other as it will only help improve relations,” The Nation quoted Afridi, as saying. Pakistan and India last played in the ICC Champions Trophy in South Africa in September 2009. The newly appointed captain added that he was eagerly looking forward to the match against India in the Asia Cup, starting June 15 in Sri Lanka. 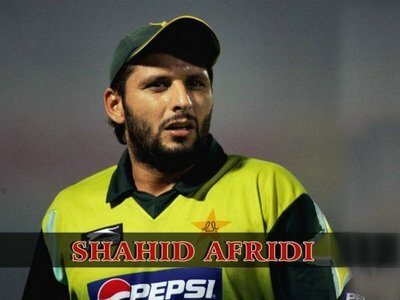 Afridi, however, pointed out that Pakistan’s opening match against Sri Lanka would also hold great importance. “Certainly, the event will not be easy and the team would have to start it on a winning note to lift its morale. As a captain I would try my every bit to cash in on every opportunity to win,” he said. Earlier, Waqar had also lamented the lack of bilateral series between India and Pakistan. “I want to see the two teams revive bilateral cricket ties and for now I am eagerly awaiting their clash in the Asia Cup in Sri Lanka,” Waqar had said. 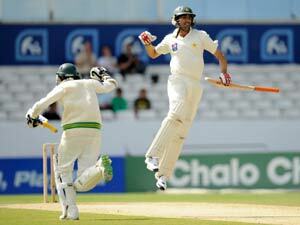 “It should be a great match as any contest between the two teams produces top quality cricket. It is unfortunate we are not playing against each other more often as Indo-Pak matches are watched by people all over the world and they are great for the sport,” he added. India and Pakistan are scheduled to fight it out on June 20 in Dambulla. Cricketing contrast rarely comes more vividly than it will Saturday when India plays Afghanistan on day two of the World Twenty20 tournament on the West Indian island of St. Lucia. India is cricket’s economic giant, generating around three quarters of its income. Its players count both their fans and their personal fortunes in millions. They have just been playing in the India Premier League, the hugely lucrative competition that has brought unprecedented riches — accompanied by allegations of corruption — into the game. Afghanistan is the tournament newcomer, taking its first steps on the game’s biggest stages. It is cricket’s almost-too-good-to-be-true story. A team from an impoverished and war-torn nation with no real cricket history has risen with incredible speed. That this success is a bizarre byproduct of those wider sufferings, with Afghans learning the game in refugee camps in Pakistan, only adds to the joyous unlikelihood of the whole story. Saturday will be Afghanistan’s first competitive meeting with any of cricket’s established giants. Its players bring with them not only the fearlessness of youth — none admits to being older than 26 — but whose life experiences put mere sporting disappointment in context. Afghanistan, a fifth-division team in the International Cricket Council’s league system only two years ago, should, logically, have finally reached the limit of its abilities. Yet that has been said of it at most stages in its rise. India will be wary. It remembers its elimination by Bangladesh in the 2007 World Cup, the last major tournament played in the West Indies. Lose to the Afghans and it will be tough for India to find a way back — it plays its second pool match only 24 hours later against South Africa, traditionally a fast starter in big tournaments. There is nothing like an early shock to animate a championship. Ireland, the other qualifier from outside the 10 test-playing nations, will hope to provide one before Afghanistan even takes the field, when it plays host West Indies on Friday. The West Indians will be seeking success on and off the field. It needs the 12-team, 27 match, 17 day tournament — the final is May 16 in Barbados — to be everything the 2007 World Cup was not. Then, overpriced tickets and heavy-handed crowd control seemed expressly designed to eliminate the distinctive ambience of Caribbean cricket. It also needs its team to play with the vibrant spirit shown by Trinidad and Tobago in the Champions League competition for regional and national title-holders. Trinidad contributes four men to its 15-strong squad including the volcanic hitter Keiron Pollard. In the tournament opener, Sri Lanka, runner-up in the 2009 World Twenty20, takes on New Zealand. The Sri Lankans field a 40-year-old member of Parliament, Sanath Jayasuriya, and a clutch of unorthodox but highly effective bowlers. Predicting Twenty20 matches is notoriously tough. The short length of matches — only 20 six-ball overs apiece — and the limited number of international contests make for the unexpected. There are, though, indications that Australia — which has won the World Cup, in which teams have innings of 50 overs, three times in a row — is coming to terms with the shorter format. It has won four of its last five official matches, drawing the other. Its teams dominated the Champions League. Paceman Doug Bollinger has emerged as a real force. On the other hand, it lost its warm-up contest against Zimbabwe. This is the third Twenty20 World Cup. Pakistan won last year and was the runner-up in 2007. It comfortably has the best winning percentage in this format. Pakistan should, by logic, be a prohibitive favorite. Logic, though, is in short supply in Pakistan. Several of its winning team, including inspirational captain Younis Khan, have since been thrown off the team following internal disputes. Afghanistan owes much of its aggressive playing style to examples set by Pakistan. It must be hoped it will take its administrative models from elsewhere. The pool stages might see Bangladesh trouble Pakistan’s traditionally slow starters. Two weeks beyond that, it would be no surprise to see Australia and Sri Lanka reprise their roles as finalists in 2007 World Cup in the 50-over format. Lahore, Pakistan- The already bad security situation in Pakistan got worse Tuesday when about 12 to 15 gunmen attacked the bus carrying Sri Lanka’s cricket team for a match against the Pakistani national team in Lahore Pakistan. At least 5 Pakistani policemen and a driver were killed in the attack and up to eight visiting Sri Lankan cricketers were injured. The masked men opened fire on the Sri Lankan bus as it approached the cricket stadium for its match against Pakistan. Grenades, rocket launchers, weapons and backpacks with dry food and water were left behind by the attackers who all successfully fled the scene after the carnage. Pakistani officials stated that the incident had similarities to the attacks in Mumbai in November of last year by the organization, weapons and the brazenness of the attacks. New Zealand immediately canceled its planned tour of Pakistan scheduled for later this year. Australia also had previously canceled matches in Pakistan last year due to safety concerns. The attacks have also put great doubt on Pakistan’s ability to host some of the matches for the cricket World Cup scheduled for 2011 to be hosted by India, Pakistan and Sri Lanka. In fact, all international sporting events to be held in Pakistan are now in jeopardy as visiting foreign sportsmen will fear for their safety and are obvious targets by the crazed militants in Pakistan. Pakistan has long been feared to be a country on the verge of becoming a failed state. However various events in the last 18 months have shown how true this unfortunate statement has come to reality. All the attacks that have happened in Pakistan from the Marriott bombing in Islamabad, to the murder of Benazir Bhutto, to the involvement in the Mumbai attacks in India, to the Taliban attacks in Swat valley and their win against the government in gaining Sharia Law, the continued kidnapping and beheading of foreigners and now the brazen attacks on a foreign sporting team just go to show how close to a failed state Pakistan has become. Pakistan has for a long time been the most dangerous country in the world for its citizens with rampant crime, lawlessness, mixture of ethnic groups fighting amongst themselves, armed militants and Islamic extremists fighting in Afghanistan and India, and nuclear weapons in a country with a very weak government and constant political upheaval. The attacks on the Sri Lankan team now show the world and especially to the cricket loving Pakistanis that the enemies of the country will stop at nothing to destroy everything that is cherished in their country for their own misguided goals. No patriotic citizen of Pakistan should after these attacks have any doubt as to the immediate need to eradicate these terrorist groups from within Pakistan as they not only represent a clear and present danger to all friends and visitors to Pakistan but to the nation of Pakistan and its sovereignty. These terrorists aim to destroy Pakistan from within and hope to incite a civil war much like the one in Afghanistan with chaos and destruction through their continued attacks and then hope to put in power Islamic extremists like the Taliban who will proclaim to bring order to the country by instituting Sharia Law throughout the country. We at Pakistanis for Peace and the majority of the good citizenry of Pakistan can not let this happen as the dissolution of the state of Pakistan into anarchy like the one in most parts of Afghanistan and Somalia will lead to a point of no return. As a nation of 170 million people, Pakistan’s population is five to six times the size of Iraq and Afghanistan. It has more ethnic groups and divisions than the two countries combined. And most importantly, it possesses a nuclear arsenal believed to be between 80 to 120 warheads. In a country with many armed militant groups that are operating in various parts of the nation and where the security and law and order situation is perhaps the worst in the world, there needs to be greater attention placed by the international community and the United States in eradicating the militant threat and in securing the weapons. Our condolences go out to the family of the dead policemen and to the injured Sri Lankan team and hope that this horrible attack helps the Pakistani people realize and understand that the true enemy of Islam and Pakistan are these extremists who are determined to destroy their nation.